With a full complement of printers and offset printing at our disposal, we are able to handle any project, in countless different formats. 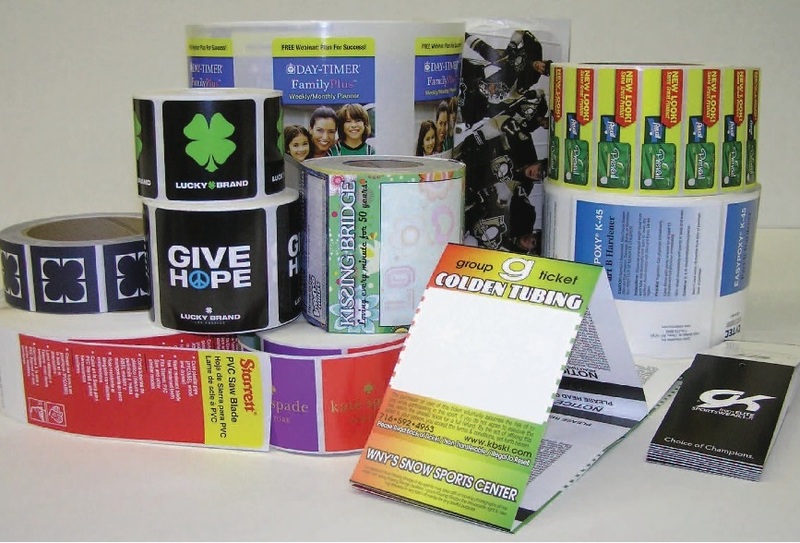 You can even have us help you decide on the best cardstock and design for your project. 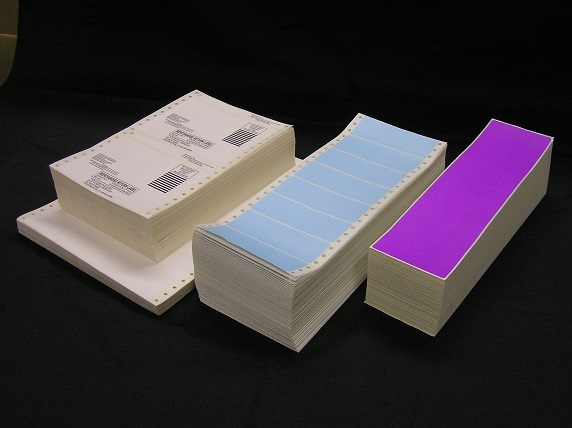 Fanfolded labels and tags are a great way to save on the cost of winding onto a core. It reduces the waste of the core and offers a conveinent way to connect stacks together for continuous operation. 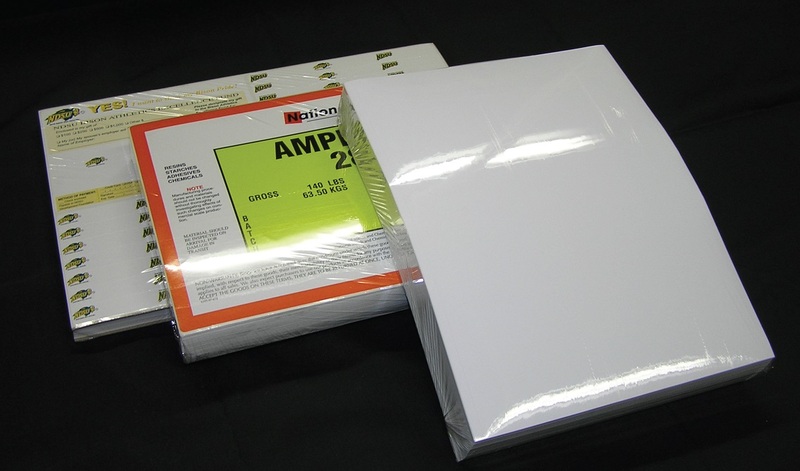 Sheeted products for laser and inkjet printers are offered in many materials and adhesive combinations for special applications. Sheeted products can be UV varnished or overlaminated for more harsh envirmental applications. Labels and Tags are made with new grade A material from the best suppliers. Providing a consistant product to the end user each time. New product! We can provice labels on 3/4" ID cores now. Give us a call today!